Many people apply for heavy equipment loans and get into heavy equipment operation for a variety of reasons. Often people think it is simply a matter of getting the necessary credentials and there will be a long lineup of employers waiting to hire you and pay you a ton of money for your specialized skill. 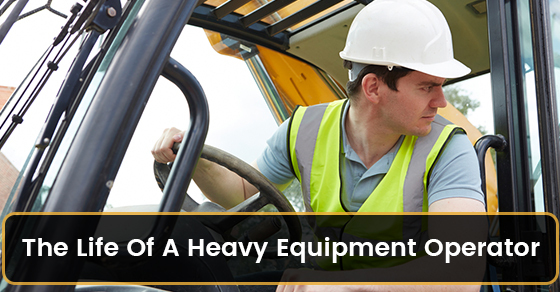 While that might be the case in certain economies and industries, there is more to being a heavy equipment operator than meets the eye. Below is some information about being a heavy equipment operator. To be a successful heavy equipment operator you need to not only be able to drive and handle the equipment, you also need to be able to work as an effective member of a team on a busy job site, possess good communication skills, be able to follow instructions and exercise good judgment. As a heavy equipment operator, your job will most likely include operating machinery and equipment like bulldozers and backhoes in order to move, place equipment or lift other heavy materials. You will also be expected to have fairly intimate knowledge of the equipment you are handling. You will need to know how to inspect, clean, refill and lubricate the equipment you are operating. You should already know how to do much of this before you apply for a heavy equipment loan. The standard work week for a heavy equipment operator is about 40 hours a week, but overtime, particularly when a project needs to be finished fast, is often expected. You need to have the stamina to keep up with these sorts of demanding work hours during peak seasons. The number of extra hours you work will depend on where you work and the sector you work in. You will also be working outdoors, often year round. Depending on where you live, this could mean temperatures dropping below zero and hot summer temperatures on the opposite end of the spectrum. You will be expected to maintain a dedication to your safety, and the safety of others around you. Before you think about a heavy equipment loan, you should first make sure you have gotten yourself trained and certified. There are some places where training and certification are necessary before anyone will hire you, and others where simply learning and apprenticing with experienced people while on the job is enough. You must also constantly update your knowledge of new techniques, and new equipment to stay current and remain an asset to your team. Being a heavy equipment operator is no walk in the park, but if you are good at your job, and live and work in a high demand area, you can make a very good living as a heavy equipment operator. Your skills are vital to completing big projects, and you can leave the job site at the end of the day with a sense of having truly accomplished something.